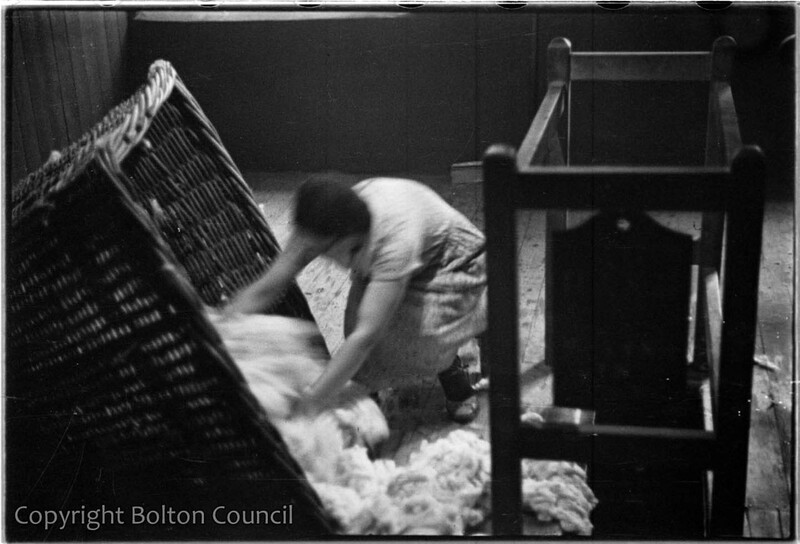 Humphrey Spender made a series of photographs inside a mill during his stay in Bolton. It is likely that this mill belongs to the Barlow family who helped to fund the Mass Observation study in Bolton. If you can help us to identify this mill then please leave a comment below. Barlow and Jones to my knowledge had two mills off Halliwell Road. One being Prospect mill and sadly I cannot recall the name of the other mill, which was near Burtons Menswear factory. Barlow and Jones sold out to Carrington Dewhurst which later became Carrington Viyella. This information would need to be verified. The other mill you refer to was called Albert mill.